This is a really unfriendly store. The cashier Debbie was cold and not interest in conversation which made it feel awkward when I was making polite small talk. However, the older lady on shift was so rude and unkind that I felt like walking out and leaving the shoes I was going to buy there and going elsewhere. If it wasn't for the fact that my children needed them that I would have. The Fareham store is much friendlier and the one on Commercial road Portsmouth is even better. 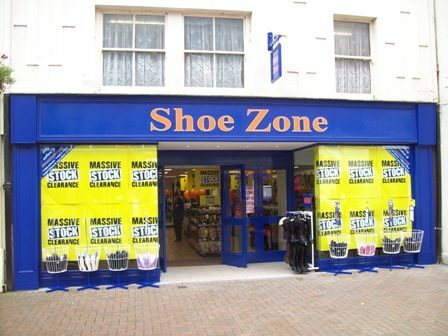 Your staff at the Gosport store need some serious training in people management as that store has lost a customer here which loses a fair bit of money as I have four young children and also buy shoes for myself from shoe zone. I live in Gosport, yet I will definitely go out of my way not to go to that store again. I can honestly say the two of them need a talking to about this and either be encouraged to treat customers better or find another job which doesn't involve people. If I was to speak to and look at people in that way where I work, there would not be a job for me to return to the following day. I do hope this is taken seriously and something is done about this.